Jimmy Carter, brain cancer: Former president speaks about diagnosis at press conference. Jimmy Carter at Thursday’s press conference. 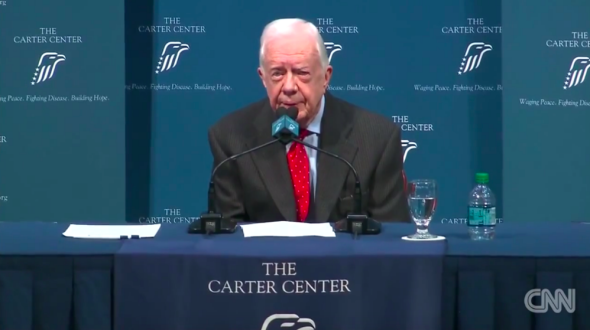 Former president Jimmy Carter elaborated on last week’s announcement that he has been diagnosed with cancer at a press conference Thursday, saying that doctors had found melanoma in his liver and brain. Part of his liver was removed Aug. 3 and he will begin radiation treatments today, he said. Both of Carter’s parents and all three of his siblings died after suffering from cancer.